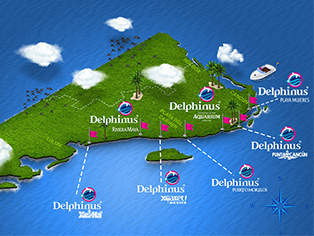 Delphinus Participates in International Animal Welfare Cetacean Study. Scientists in seven countries will collect data to increase understanding of health and welfare of cetaceans in professional care. Why maternal care in dolphins matters? Dolphins are famous for their social skills, agility, abilities and curiosity. When they are born, like babies, dolphin calves need the company and guidance of their mother to begin their development. Did you know that dolphins can 'see' you through sounds - just like some superheroes like Daredevil or Aquaman do? Yes, they use this ability both to find food and get to know their environment. It also works to defend themselves against predators. The morning of December 19th, 2016, a big stranding occurred and we had the chance to lead the re-introduction of three Steno bredanensis dolphins, also called “rough teeth dolphins”. According to press releases, there might’ve been up 20 animals during this group stranding.